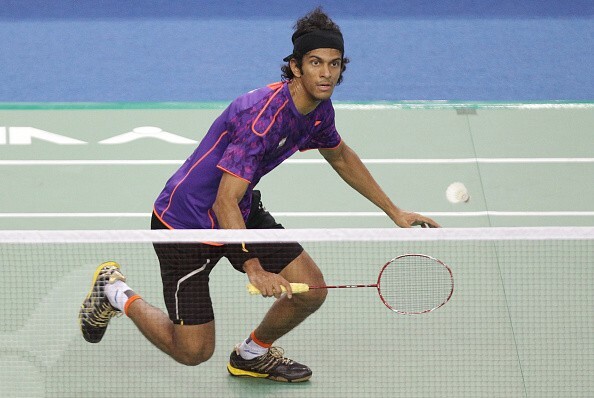 Third-seeded Indian shuttler and defending champion Ajay Jayaram overcame his Malaysian counterpart Iskandar Zulkarnain Zainuddin, 19-21 21-18 14-21, at the Dutch Open Gand Prix on Friday. Jayaram has now reached the semi-finals of the USD 50,000 Dutch Open Grand Prix. Another Indian shuttler RMV Gurusaidutt went down to Estonian Raul Must in the quarter-final on Thursday. It was a mixed start in the first game for both players, as none of them were able to race out with a big lead. The Indian managed a lead of 3-7, but Iskandar came back and locked the score at 8-8. The game was finely poised at 12-12 for an interesting finish. But the Indian took a 3 point lead and maintained his upper hand in the game throughout. He went on to win the first game 19-21. Jayaram started the second game on a high, as he took a 0-5 lead. But, he failed to maintain the momentum as Iskandar came back strong and earned 8 back to back points. He failed to handle the pressure exerted by his opponent, as the Malaysian did not squander his lead and went on to win the game 21-18 and level the match to take it into a decider. Third game’s start was almost similar to the second one. Jayaram took another 4-0 lead, but Iskandar levelled the game at 5-5 to send the defending champion on back foot. Though, the he had different ideas. The Indian picked up his game and took a lead of 6-11. At 10-11, the game looked really close, but Jayaram was quick to react and won the game 14-21 without giving his opponent much of breathing space. This win means that Jayaram will now be up against another Malaysian, Goh Soon Huat in the semi-final of the tournament.